This document has been replaced with the updated 2017 version and will no longer be available for purchase after October 31, 2017. 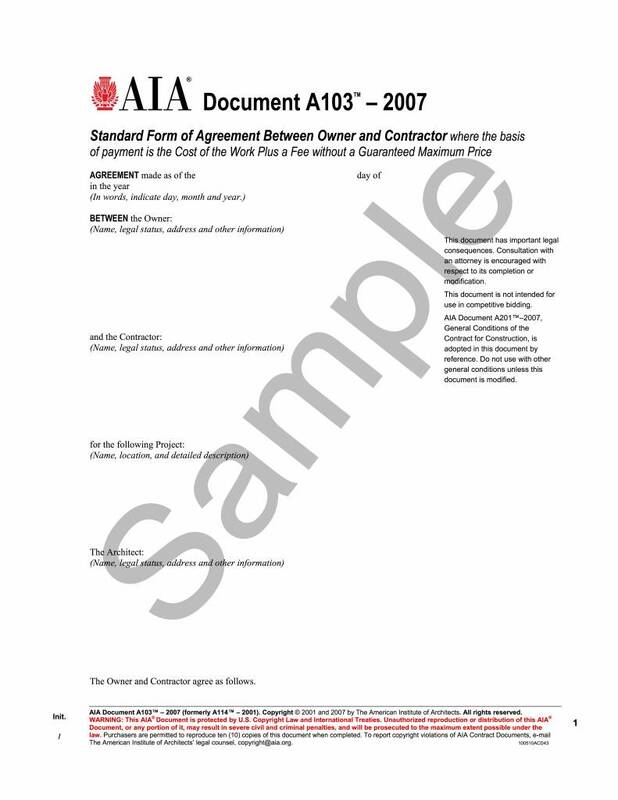 AIA Document A103™–2007 is appropriate for use on large projects when the basis of payment to the contractor is the cost of the work plus a fee, and the cost is not fully known at the commencement of construction. 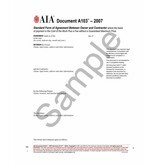 AIA Document A103–2007 is not intended for use in competitive bidding. A103–2007 adopts by reference, and is intended for use with, AIA Document A201™–2007, General Conditions of the Contract for Construction.